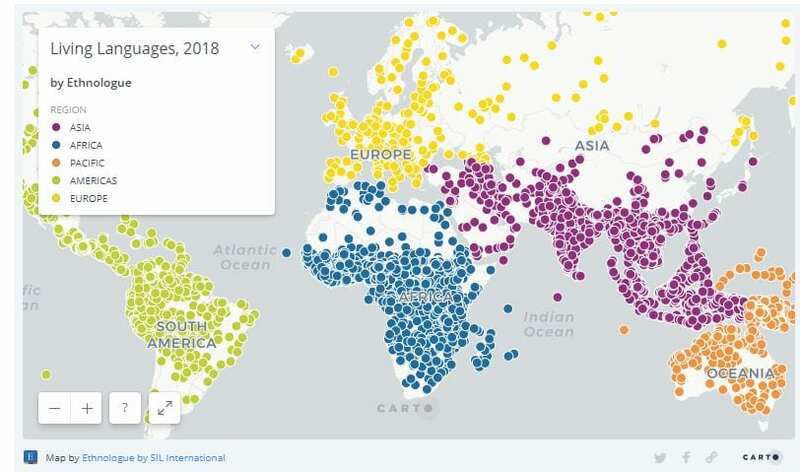 Ethnologue, an online journal dedicated to data surrounding language use, has recently published new data on the number of languages spoken in the world. In total, there are 7,111 different languages spoken in the world. These are mapped onto this interactive map allowing the user to see where these languages are spoken. However, it is probably worth noting that roughly 1/3 of these languages are endangered (less than 1000 speakers) and 23 languages account for most than half of the world’s population. 86% of the world use Asian or European languages. Read more about this so-called ‘language intelligence’ here.